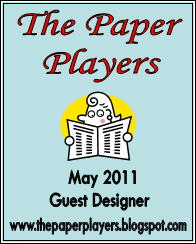 I absolutely LOVE The Paper Players challenge and am so excited to be the guest designer in May. I hope you'll find some time to play along with us. The challenges start on Sunday, so stay tuned! 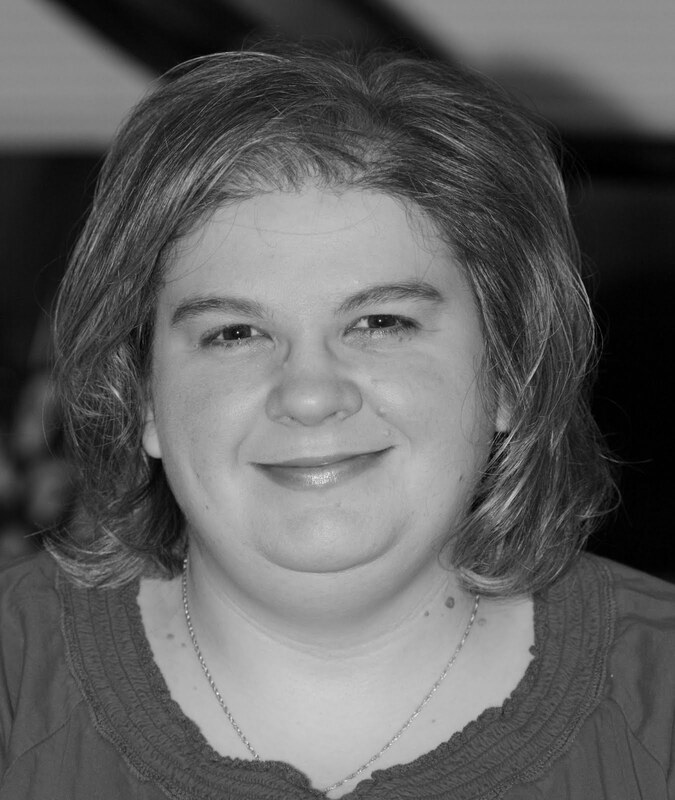 You can find the official announcement from Lesley here. I have my monthly group coming up on Wednesday and this is one of the cards we'll be making. It is a cute little card that would go great on a gift this summer. You can find a tutorial for the card here. I LOVE this stamp set! I decided to use a different color combination and NOT use the designer paper that goes with it. Today's card is for the sketch challenge at The Paper Players. You can find the challenge here. This is bright, huh? Daffodil Delight is another one of those colors that I tend to avoid, so I decided to try and use it on my card for the Pals Paper Arts sketch challenge. The color combination came from the Color Coach. I know, I know...the owl, AGAIN? The catalog doesn't mention how addicting this punch is and how once you pick it up, you can't stop using it! He's just too darn adorable. This card is for the clean-and-simple sketch challenge at The Paper Players today. Today was a great day because I also got enjoy my other creative outlet. These were taken at the Mercer Arboretum in Humble, Texas. Two challenges in one day! This was one of those cards that I actually come up with during my sleep and I think it got a little lost in translation. I won't say I love it because the idea in my head was SPECTACULAR and this okay, but not quite there. This is for the Pals Paper Arts challenge to use flowers. I recently purchased the Itty Bitty punch pack and was ready to try it out, so those are my flowers along with the embossing. My idea was based on an Almond Joy candy wrapper, but I love Mounds too (dark chocolate...yum), so I think it probably ended up being more of a combination of the two. I would have had to use a bit less red for a true Almond Joy look. Great challenge! 4. I hate to cook, but love to bake. I get asked to make banana nut bread all the time. 6. I'm a sports NUT. I probably like to watch them more than most guys. I credit that to my dad; growing up we had one TV and since he liked sports, we learned to like them as well. I even have a baseball card collection. 7. Here's the last one and the one I am usually embarrassed to tell: I met my husband online. Not a dating site, but playing Spades on Yahoo. He was a good card player, so we kept partnering up and chatting. It was years before we ever decided to meet in person, but by then we were both goners. He's the most amazing man and I love him so very much. Erica Cerwin is an amazing stamper who uses the bright colors that I adore. Kathy is a fellow SCS Creative Crew designer and not only is she super nice, but she makes some amazing cards! This card is for a personal challenge. Last year while getting ready for fall, I accidentally ordered 2 packages of More Mustard card stock. Guess what color I don't like? Yep, that one. My challenge for the next few weeks is to work with the combinations from the Color Coach and try to get myself to like this darn color. So, here's my first attempt. What do you think? I'm finally back! It feels like forever, too. I hate weeks when I can't find the time to stamp for fun every day. It makes me a little grumpy when I don't get my fix. :) I had a ton of school work and then poor Bandit was really sick on Tuesday. I was scared we were going to lose him, but the vet was able to get him all fixed and he's home now. She thinks he got into something toxic, so we are still monitoring him for any lasting effects. He had tremors and twitching yesterday and was totally spaced out. He seems much better today, just really restless. Back to the card: I wanted to show off another new stamp set from the upcoming summer mini catalog. I'm not really into nautical things, but I got this paper and stamp set because I never have any manly stamps when I need them. I have to say, I LOVE them. 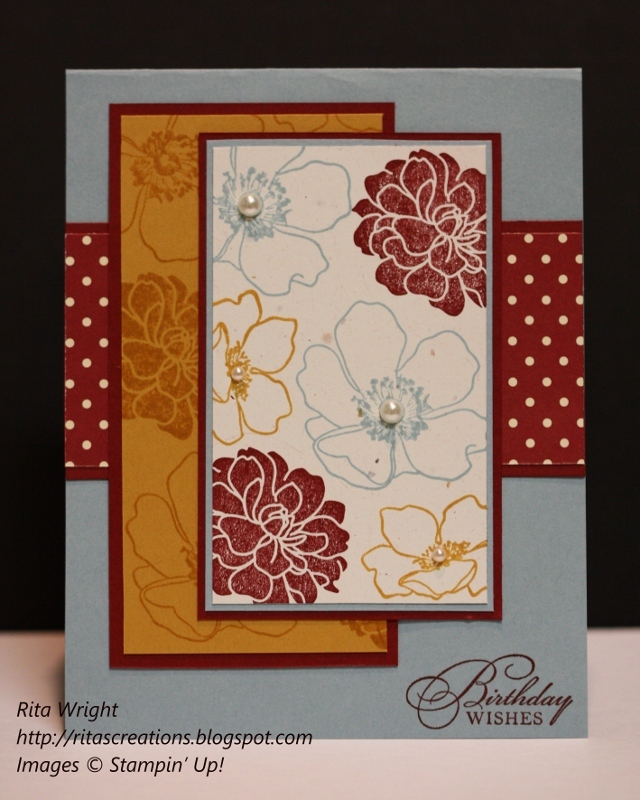 I'm a big fan of Cherry Cobbler and Not Quite Navy, so I kept the focus on them for this card. I didn't have a specific challenge in mind for this one, I just knew I wanted to use this stamp set. So, I consulted some old sketched at Mojo Monday and found one that I wanted to use. You can find the 2009 sketches here. I used the October 12, 2009 sketch for this particular card. Just another little peek today. :) This is another card I designed for the May Creative Crew challenges. It is actually related to yesterday's card, but I can't tell you how just yet. I was looking back through some pictures on the laptop and came across some from May of last year. That was a month before I signed up as a demonstrator and I was making cards like the one at the top. Almost a year later, I made the card at the bottom. Can I just say WOW!?! I'm so proud of myself for the improvements I've made. 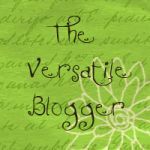 I know so much of it has to do with being a Stampin' Up! demonstrator. The products are just superior to others and the way they all coordinate makes it easy to make amazing cards. I can't wait to look back again next year. Confused? :o) This card is one for an upcoming May challenge from the Creative Crew. I can't reveal the entire card until May 1st, but I wanted so share a little peek. The designer paper and stamp set is from the Summer Mini and I think you'll love it! How about a sneak peek from the upcoming Summer Mini catalog? I love this striking Fabulous Florets set already. The image on the main panel is gorgeous, but look at that background paper I made using the other stamps from the set. I love making my own unique designer paper and this set is perfect for it! I have been trying to work on my distressing skills and this paper and color combination lends itself perfectly to that look. This is for the Wednesday sketch challenge over on Splitcoast Stampers. It is a fun sketch that I'll definitely be using again! I am excited to announce that I was chosen for a special design team over on my favorite website, Splitcoast Stampers! 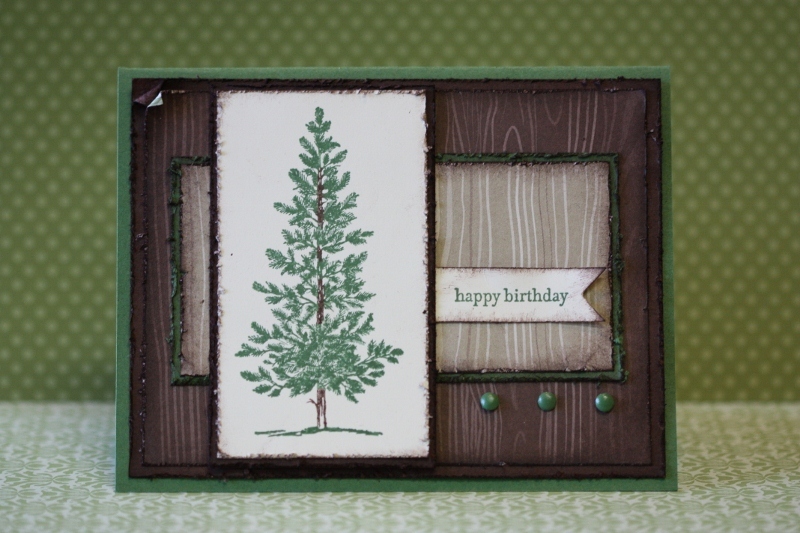 The team is called the Creative Crew and designs awesome Stampin' Up! only projects to show you all the amazing projects you can make with our products. I feel honored to have been chosen and I can't wait to get started! I'll be a designer from May until August, so be on the lookout for some new challenges! There are some fun challenges from the Crew this month, so consider playing along and uploading your creations to the Splitcoast Gallery using the keywords you'll find underlined at the beginning of each challenge description. The first indicates the specific challenge, the second that it is for the Creative Crew, and the third shows that you are using Stampin' Up! Only or Stampin' Up! Mostly (pick which one describes your card/creation). We all know that SU! punches rock, so this month punch us up some flowers, butterflies, birds, and bugs! You don't have to make actual punch art (unless of course you want to Jackie! ), but show us what your punches can do! When you see Bluebirds you know spring is here! So use this very blue color combo: Pacific Point, Not Quite Navy, Very Vanilla, Sahara Sand. Which also happens to be the colors of the Blueberry Crisp DSP! The rain fills our Oceans with the lovely water that balances life here on earth. So in honor of Mother Ocean let's do some watercoloring! Break out your aquapainter and your inks, crayons, pencils, and blender pens! Show us watercoloring at it's best. Yep you have to use stamps and make your own background for your pages this month. Other than that, it's a free for all! 1. butterfly: a scrap of designer paper was glued to a cereal box and then cut out with the Big Shot. The dimensionals behind the butterfly are the edges of the sheet that I cut up and used. 2. The image behind the butterfly is one I had previously stamped and ended up not using after all. 3. The ribbon was something that a customer at work was going to throw away. My co-workers were kind enough to save it to me because they knew I could use it on a card. 4. Finally, the layout is recycled from last year's Summer Mini catalog (page 16). I guess I must have been stamping in my dreams because the idea for this card was in my head when I woke up from my nap. I'm not sure it's exactly what I pictured, but I think it turned out okay. I love that it is elegant, yet simple. That combination is perfect for wedding cards! I will probably cry tomorrow after using so many of my precious pearls, but oh well. :o) You only live once. This is for the Pals Paper Arts challenge PPA87, Use Punches.